Silver dollars are among the coins that often have counterfeits due to their potential value. Modern coins in regular circulation do not use real silver the way old coins did, so they are a good investment for any collector of coins. 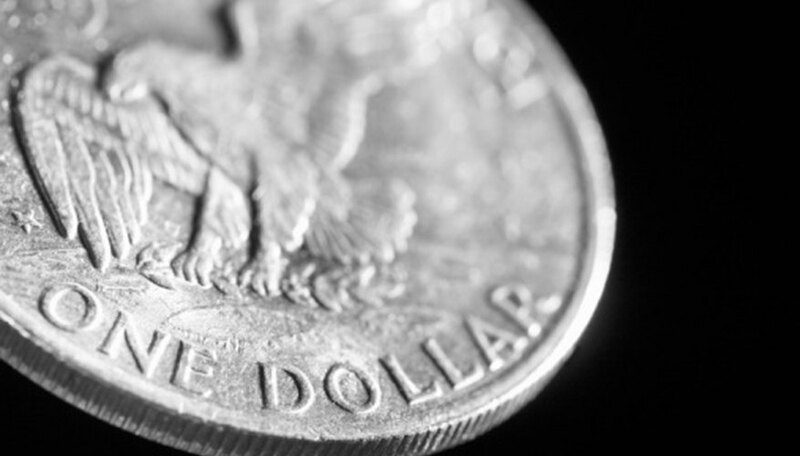 Before buying the silver dollar, it is vital to ensure it is not a counterfeit. While it is not actually illegal to possess a counterfeit coin, it does not have real value. Look at the date on the coin. If the date says 1804, it is probably a fake. There are only a few 1804 coins because during the year 1804, the U.S. did not actually mint any silver coins. According to the website Silver Coin And, a few were minted in 1834 and 1850 and they were made for diplomatic gifts rather than actual circulation. This means that the 1804 silver dollar is extremely rare with very few legitimate copies. Any coin with 1804 stamped on it is more likely a fake than real. Study the images of real silver dollars. The Fairfax County Public School system has a webpage with images of real silver dollars (see Resources) available to look at. You can also look in any book on coin collecting. If the silver dollar coin you are looking at seems odd after studying the pictures of real images, even if you are unsure why it looks odd, it is most likely a fake. Counterfeits often have slight differences in appearance, such as stars slightly more or less spaced or something in the wrong location. Pick up the coin and feel the weight. A real silver dollar coin is made from real silver, resulting in a relatively heavy weight. A fake is more often a silver alloy or covering rather than real silver and thus ends up heavier. Study the sheen of the coin. A silver coin has a specific appearance and shine that many counterfeits do not manage. Other coins are obviously not really silver as the appearance of the surface does not have the same shine as the real silver material.